Destined to be the largest annual cafe and vintage rally and meetup in New England. 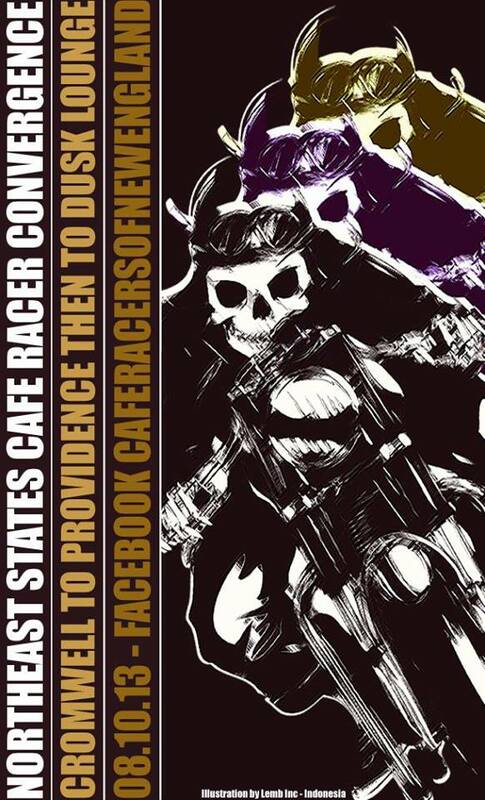 Hosted by CafÃ© Racers of New England, CT Rockers, NE Moto Guzzi, and SPARK! Moto! Join us for a 100 mile ride from 391 Main St. Cromwell CT to 301 Harris Ave, Providence, RI where we’ll land at Dusk Lounge to raise a toast to all who made it in one piece. Kickstands up in Cromwell at noon!! !